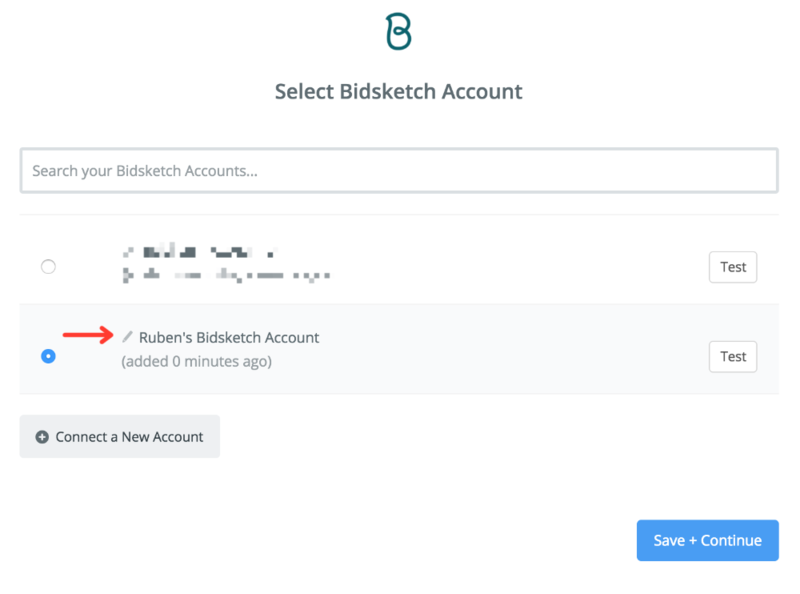 To get started using Bidsketch in your Zapier account, you’ll first need to add your Bidsketch account to Zapier using your Bidsketch API. When creating your first Zap using Bidsketch, once you’ve decided which app you’d like to create your zap with, you’ll need to decide what trigger and action to perform. 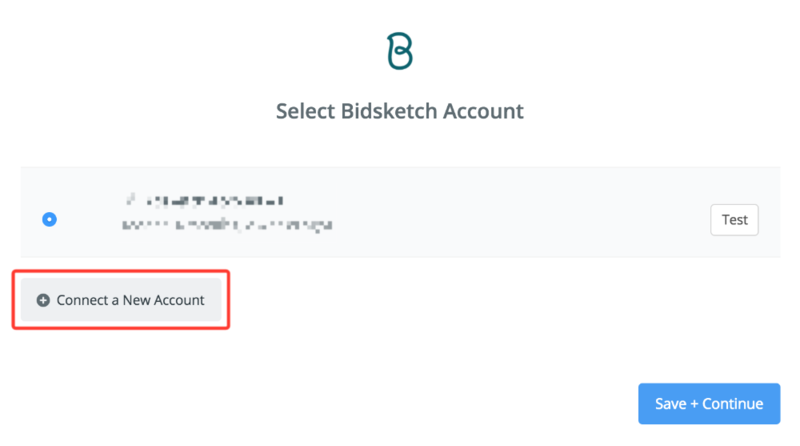 Once you’ve done that, you'll need to add your account by selecting “Connect a different Bidsketch Account” from the drop down menu. Next, you'll need to label your Bidsketch account with a new name. 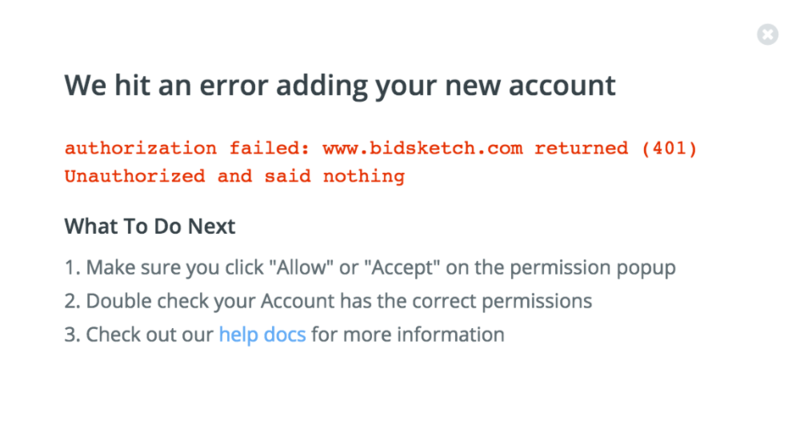 In this same modal, you'll be given instructions on how to collect your API token from your Bidsketch account. 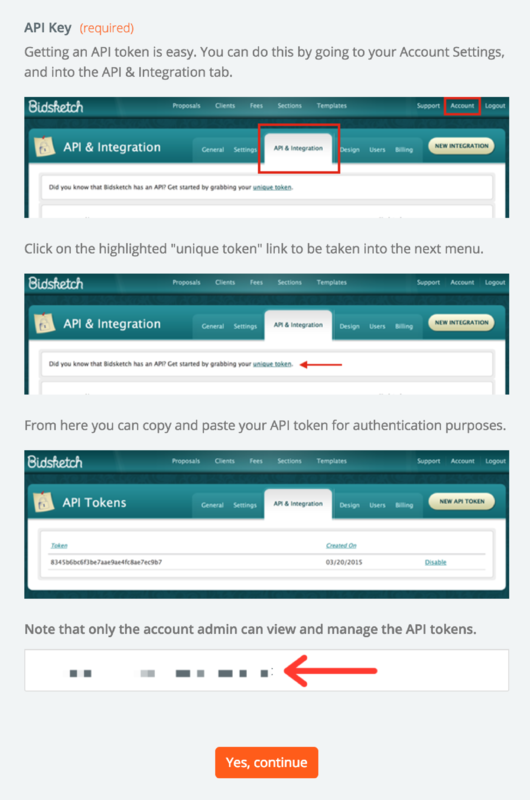 Once you’ve copied your API, paste it into the open textbox at the bottom, and click continue. After you’ve submitted your API key click “Test This Account” to verify that your API key has been entered correctly and is working. If everything is working, you’ll receive a green “Account is Working” message. If something is wrong with your API key, you'll get a message from Zapier letting you know what to do next. Here's a video that helps walk you through the process of setting up a new Zap.